You either have to do all this grunt work yourself or hire somebody to do it for you. Well, not anymore. Easy Video Suite is an app that makes putting your videos online stupidly simple. It converts your videos for you, uploads them to your account for you, makes sure they’re compatible with all devices and browsers, secures them so people can’t steal them, and gives you a simple embed code that you paste wherever you want your video to appear. EasyVideoSuite automatically converts your video files into a web-optimized and mobile ready format using the drag and drop desktop app pictured below. This is probably one of the top 3 selling points of EVS, if not THE feature… Up until now, video marketers have had to use a software like Handbrake to convert their video files into web-optimized clips. 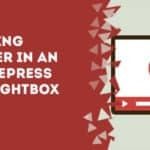 This requires a little technical knowledge, like knowing which settings to choose in Handbrake in order to get the perfect balance between file size and video quality. But EVS does all this stuff for you automatically. You simply drag your video files onto the desktop app and it takes care of the rest. Win. Most of the videos you watch online use progressive download. That’s when you click play and the entire video bar starts to load. If you want to start watching somewhere in front of the loaded part of the progress bar, you have to wait until the portion you want to watch has loaded. And if it’s towards the end of the video, it could take a while to finish loading (especially if it’s a longer video). If you’re the one hosting the video, it’s a drag because you’ll have people bouncing off your video pages at a higher rate. PLUS, you’ll be paying for parts of the videos that load, even if the viewer never watches them. Finally, these self-hosted solutions depend on Amazon S3 or a similar cloud based server. Which is fine and dandy except for the fact that S3 can be pretty damn slow. That’s where CloudFront comes in. See, Amazon’s S3 servers are housed in just a few locations around the world. Now imagine you went around and put additional servers at a bunch of key locations all over Asia, Europe and the Americas. That’s exactly what Amazon has done with CloudFront. When you upload to CloudFront, it automatically distributes your video to every edge server (this is called a “CloudFront distribution”). Then when somebody goes to watch the video, Amazon determines which of these “edge servers” is closest to the viewer and serves the video through that server. This means the viewer gets the clip at lightning speed, regardless of where in the world he may be. CloudFront is also superior to S3 because it allows you to use true streaming (RTMP). That means when you click ANYWHERE in a video scroll bar, you can begin watching from that point forward. No waiting for the entire freaking vid to load. It also means that CloudFront only loads the part of the video being watched RIGHT NOW. In other words, you ONLY pay for what gets watched. So CloudFront also winds up being cheaper than S3. EasyVideoSuite allows you to enable CloudFront on your vids with a one-click toggle setting. And if you want, you can still select progressive download. Note: As of this writing, iPhones and iPads do NOT support RTMP streaming because it requires Flash to work. And Steve Jobs BANNED the use of Flash on iDevices… However, several other tables and phones DO support this (as long as they support Flash). What does this mean for folks viewing your video from an iPhone or iPad? Only that they’ll have to wait for enough of the video to download before it begins playing (progressive download). EasyVideoSuite doesn’t force you to use their cloud server. You can integrate this software with your own Amazon S3/CloudFront account. It’s totally up to you. The EVS desktop app can upload videos directly to your YouTube account. This is really useful if video is going to be a part of your online marketing strategy (and it damn well should be). 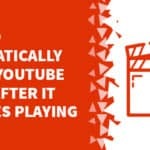 And if you’re like me and switch between different gmail accounts all the time, then signing in and out just to get into your youtube account can be a pain. EVS is a direct line to youtube and saves you the trouble. But to be fair, this isn’t video editing software. 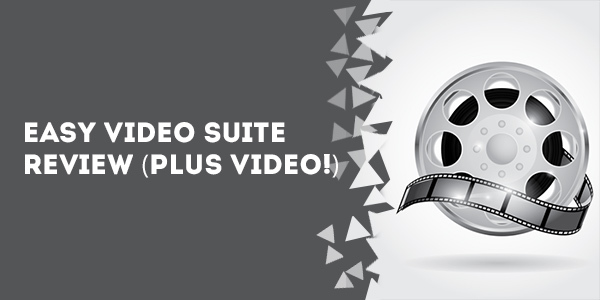 Your video should already be shot and edited the way you want by the time you go to upload it with EasyVideoSuite. However, sometimes you find that you’d like to start or end a video a bit earlier or later. You can make this simple edit right from the desktop app. If your videos look like crap to begin with, I suggest you check out my friend Jules Watkins’ super popular course on shooting great looking vids using nothing but your iPhone. It’s called iPhone Video Hero. These features are useful primarily to online marketers. So if you’re looking to build your list and sell a product, these are incredible features to have. If you just need to put together a simple membership site, they may be overkill. The regular version is $297. The commercial license is another $97. The commercial license allows you to get rid of the EVS branding. If you’re doing alright online or have some money to invest, the price might not throw you, especially if you expect to make it back using this software. If you’re still getting started and bootstrapping, you may want to hold off and go with a cheaper solution for now. If you enable sharing buttons, the bar overlays over the bottom of the video, effectively covering a small part of it up. I submitted a support ticket to EVS and hopefully they’ll get around to fixing this soon. But unless you’re utilizing every bit of the video screen, it’s a pretty small issue for now. 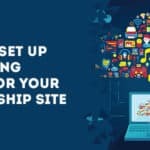 EVS is a great piece of software that single handedly eliminates several of the biggest headaches associated with video marketing, including conversion to a web friendly format and integrating with CloudFront. And if you’re a lazy technophobe it might be exactly what you’re looking for. At $297, it’s really your personal judgment call whether or not it will benefit your business enough (and soon enough) to justify the initial hit to your wallet. And of course, if you just want to try it out and see how it feels to you, you can always buy it, give it a whirl for 60 days and then return it for a full refund if it doesn’t meet your needs. And there’s nothing unethical about doing this, it’s EasyVideoSuite’s own refund policy and just smart business.